Trout Unlimited’s primary goals include the conservation, protection, and restoration of coldwater fisheries. At the local level, we strive to reach these goals on our rivers and streams. Currently, ORCTU is participating on stream restoration projects on Stover Creek, Little Rock Creek, and the Chattahoochee River. Our work on Stover Creek is due to our co-sponsorship of a $10,000 Embrace A Stream grant through TU National. 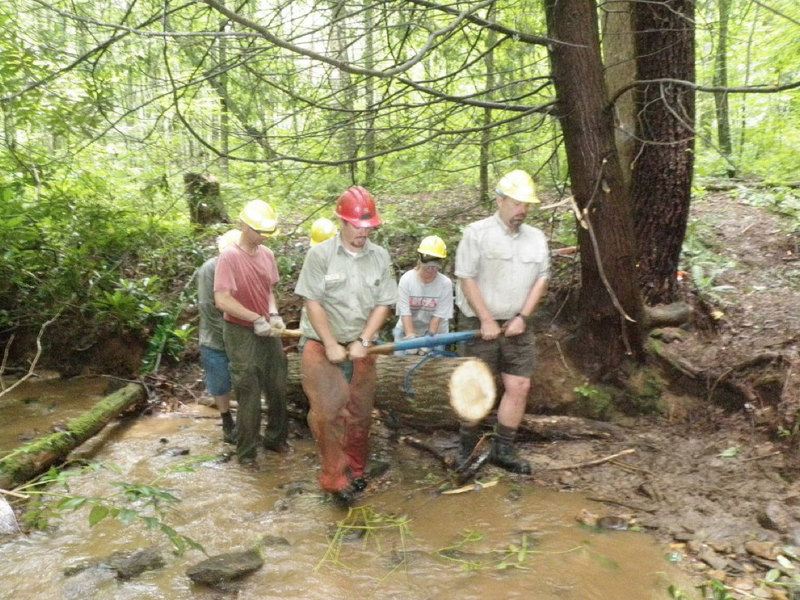 Through this multi-year project, we have built dozens of stream structures to revive this once-healthy native brook trout stream. The Chattahoochee River has seen help from our members before. We initiated an annual workday on the upper stretches of the Chattahoochee in 2007. Last year we built several in-stream structures where trout have already made a home. This work will continue over the course of the next several years. Stay Informed – Quick Links for Conservation Information. Click here for TU National’s brochure on conservation in Georgia. Click here for the TU National Conservation Agenda. Click here for information about TU’s Back-the-Brookie campaign. Click here for information on the Eastern Brook Trout Joint Venture (EBTJV). To learn more about our conservation agenda, contact Pete Walton by e-mailing peter_walton@bellsouth.net .